This is one and unique juice recipe. Today, I tried new drink made with rose flower. 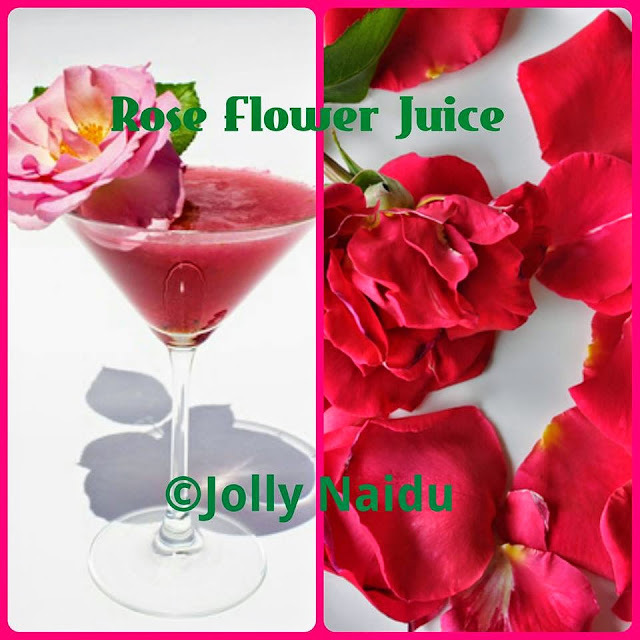 We know about rose water, which is used for glowing our skin, but did you know we made juice also from rose petals. 1. 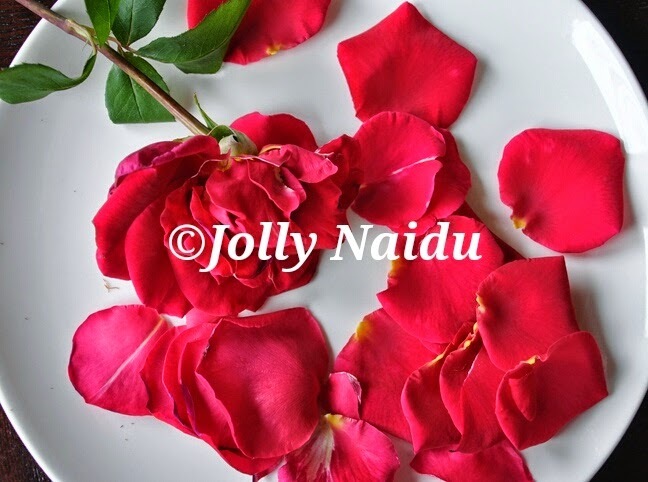 For preparing rose flower juice, boil the rose petals with water and strain it. Keep it aside. 2. In the above rose water, boil sugar till it dissolves. Remove it from flame and allow it to cool. 3. Pour this juice into glasses of cold water. 4. Rose Flower Juice is ready. Serve with more crushed ice-cubes and Garnish with rose flower or rose petals. Tip : You can also add Lemon Juice in juice.